No matter what climate, harsh weather conditions can put a damper on your storage. 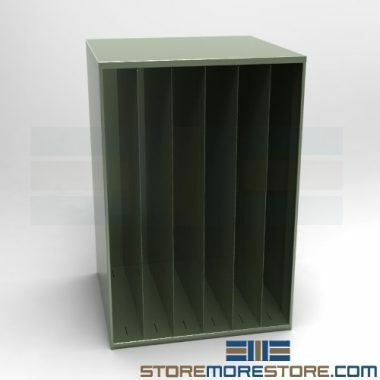 Heavy duty outdoor cabinets are a great way to store your equipment and keep it safe for any type of weather. The heavy duty outdoor cabinets include sloped tops for rain runoff and gasket sealed door frames that keep moisture out. 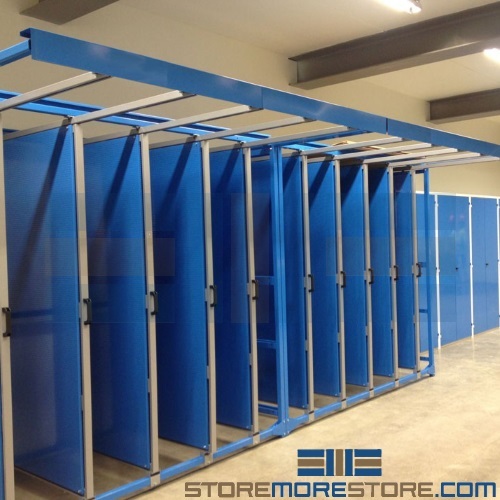 This is great for rainy and humid climates, but these cabinets aren’t exclusive for use in temperamental weather and are suitable for a wide variety of environments. For example, you can also use them for wet areas like pools. 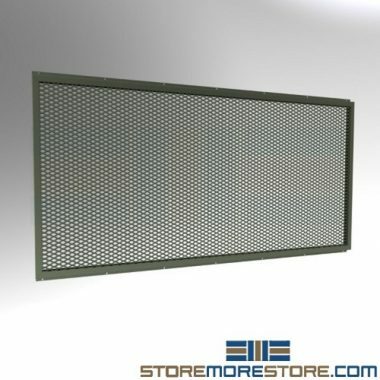 The gasket doors and filtered vents are also designed for dry environments to keep our dust and sand. And if you live in certain climates, you know how valuable it is to have a storage system that can seamlessly adapt to any type of weather. 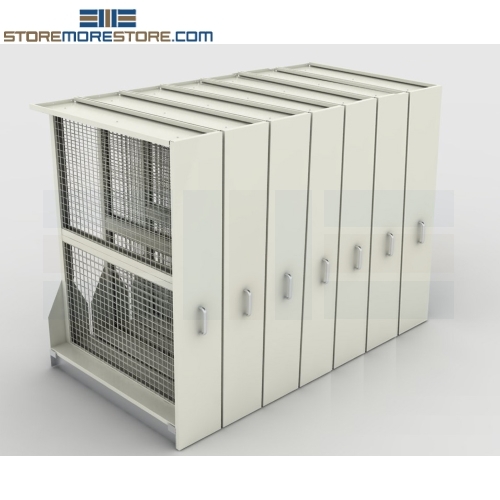 Heavy duty outdoor cabinets are available to buy online and ship within 5-10 business days with free dock-to-dock shipping included. If you need any assistance or just want some help picking the right solution for you, please call us at 1-855-786-7667. 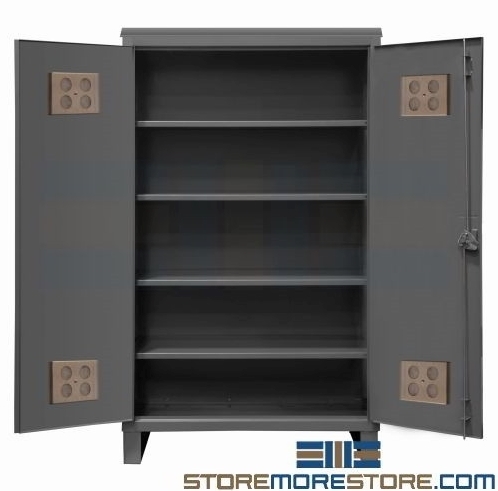 Wall hung stainless steel cabinets are ideal for a wide variety of storage applications that require durability and cleanliness. 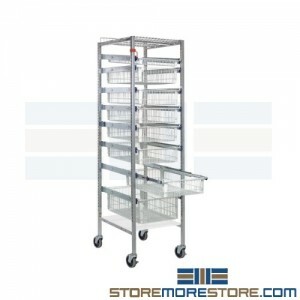 Since they are constructed of high-quality stainless steel and an all-welded design, you can use the commercial-grade cabinets in labs, healthcare settings, food storage, restaurant kitchens, and more. In order to adapt to multiple applications, the wall hung stainless steel cabinets are available in multiple widths from 30″ to 60″. Each unit also includes an adjustable intermediate stainless steel shelf. 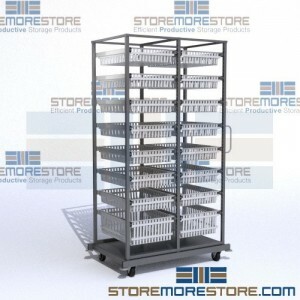 This makes them a flexible and space-saving solution that can adapt to your changing needs. Depending on your needs, you can choose from cabinets with or without sliding doors. By hanging from the wall, the cabinets also save space by freeing up your floor for other uses. They also keep dangerous or sensitive items secure and out of the way. In the event of a spill, the cabinets withstand most harsh chemicals and cleaning agents and are easily cleaned. Commercial-grade stainless steel resists rust and corrosion to remain within safety and sanitation standards. 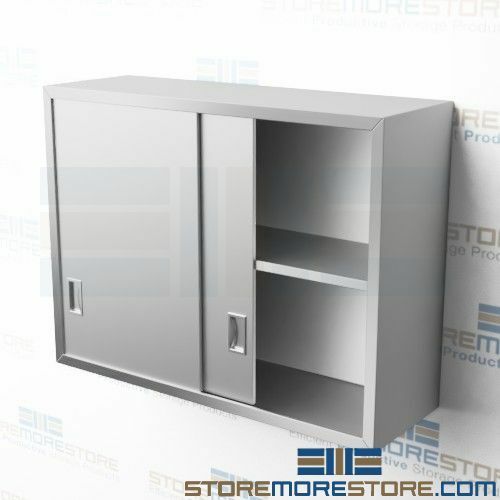 Wall hung stainless steel cabinets are available to buy online and ship within 10-15 business days. Free dock-to-dock shipping included. If you need any assistance or just want some help picking the right solution for you, please call us at 1-855-786-7667. 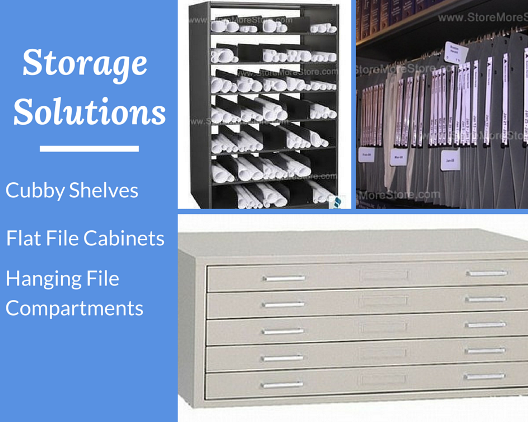 Some types of specific documents can’t be stored most efficiently on regular shelving. For example, many flat works on paper for museums, archival facilities, construction documents, and other applications require specialized storage to protect these materials from damage. 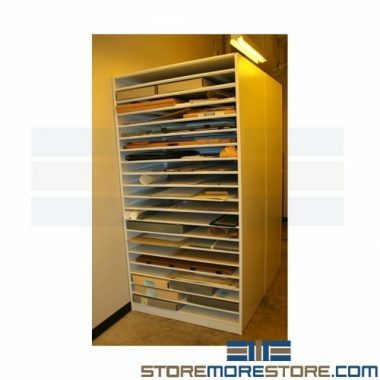 More and more museums use Solander box shelving as a new standard to store historical documents and all types of flat and rolled storage. 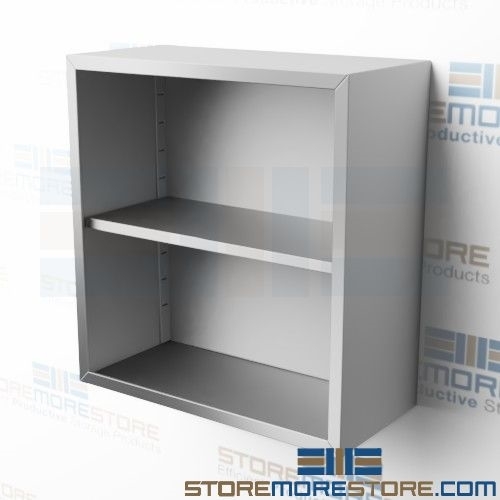 The durable steel construction and non off-gassing finish makes the shelving perfect for storing Solander cases, Hollinger boxes, maps, mat boards, posters, drawings, blueprints, and other works that need to lay flat. This allows the materials to last longer and prevents damage from being folded or rolled up, which is especially crucial for historical archives. 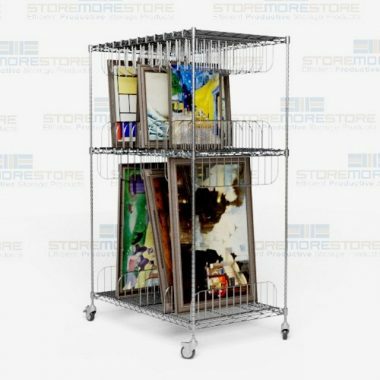 These shelves are also great for large format works that may not be suitable for other types of storage. 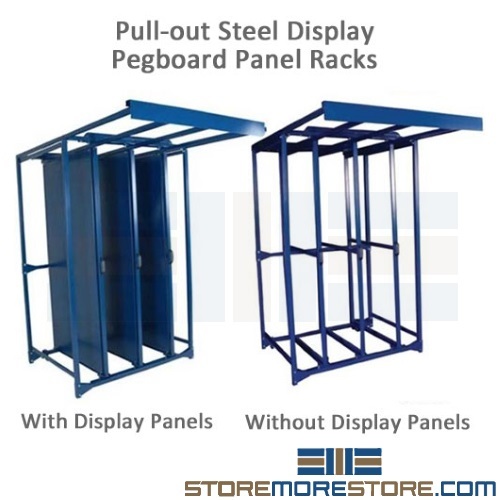 Shelves are available in multiple sizes to accommodate oversized products up to 46″ x 36″. 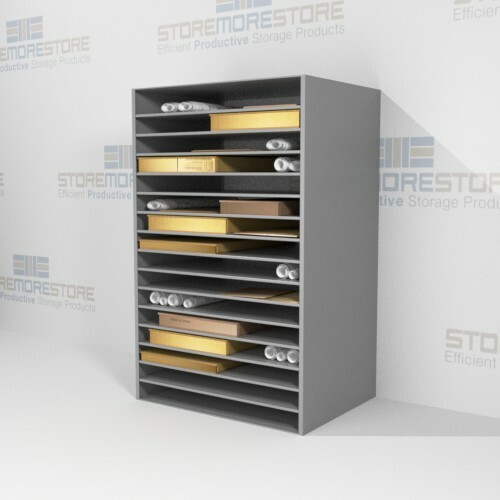 Solander box shelving is available to buy online and comes with easy do-it-yourself instructions. For further assistance, give us a call at 1-855-786-7667. One of our storage experts will be able to help answer all of your questions. 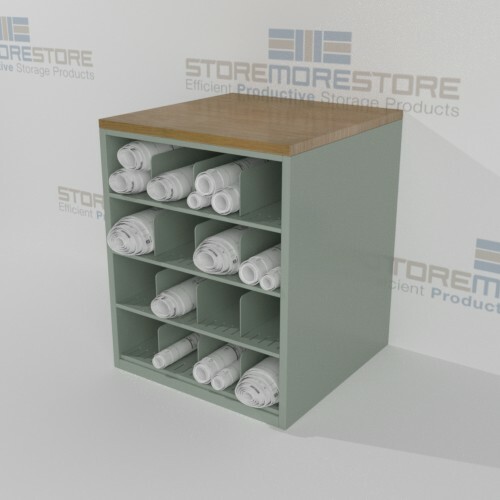 Rolled plan drawing storage cabinets and counters will store rolled drawings, architectural blueprints, maps, flat drawings, and more within the same unit. 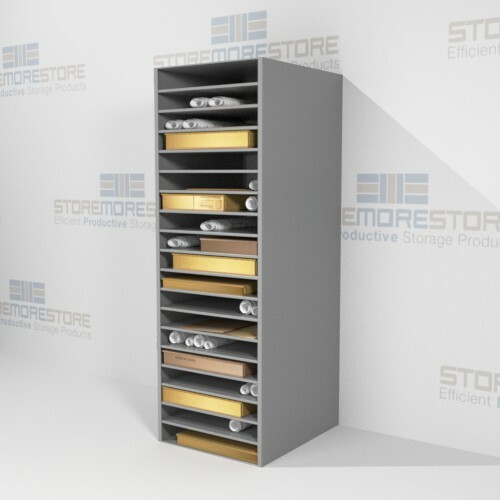 While traditional shelving makes storing rolled materials difficult, these shelves are specifically designed for it. 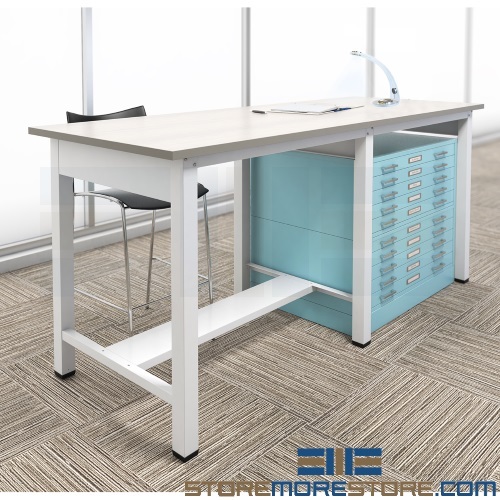 And with adjustable cubbies, you can customize the shelves to your exact needs. If you work in industries like architecture, design, engineering, landscaping, construction, drafting, etc. then you know you need a convenient way to store oversized documents while keeping them undamaged. Storing these documents stacked on top of each other can make them difficult to find and organize. Documents laying flat on tables also leaves them prone to damage from accidents—most of us have probably spilled coffee on a paper document at some point. Additionally, flat shelving can take up a lot of space and may not fit extra large documents. 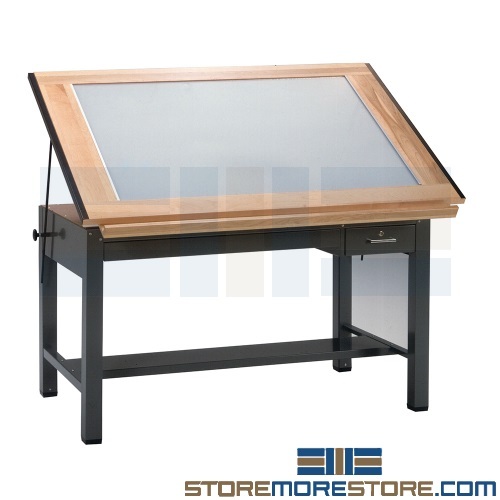 Counter-high units are also available, and provide a convenient work surface when retrieving and viewing items. 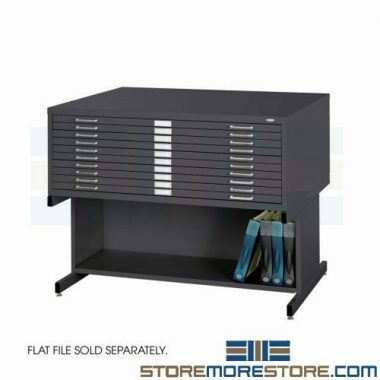 Rolled plan drawing storage units are available to buy online and are easy to set up and use. For more information or to receive additional assistance, please call us toll free at 1-855-786-766. So you’ve got some shelving and a bunch of documents. Too bad that’s not all you need to actually organize all that paper. It won’t do any good to just stack a pile of papers on you shelving. You need documents to be easily accessible; otherwise, you would have just got rid of them. There are numerous ways to organize documents in your shelving, but here are some of our favorites. Oblique compartments hang in your shelving. The compartments are large enough to hold folders and many, many documents. This makes them a great solution for organizing forms and brochures. The magnified color-coded labels on all Oblique compartments keep all your documents easy to find too. 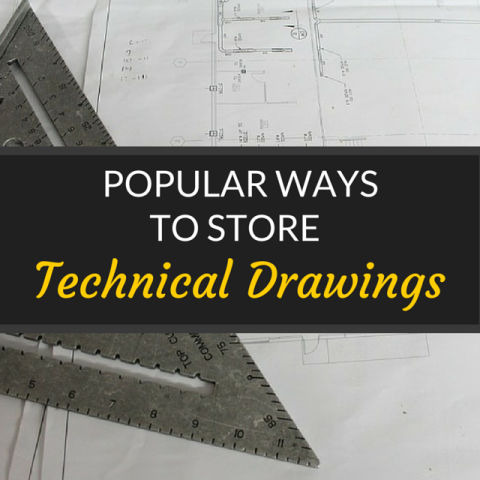 If you have large documents like drawings and blue prints, your best bet is to store them rolled up. They’re safe from damage and take up way less space. But you can’t just store them rolled up in a pile on the floor or on any type of shelving. 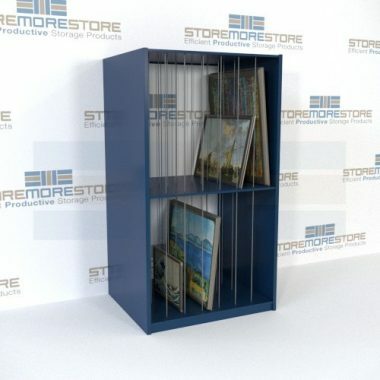 Specially designed cubby shelves are the ideal solution for storing rolled up large documents. If you have legal case files, you want to keep them grouped together. That way nothing gets lost. But when you have so many folders, it can be hard to do. 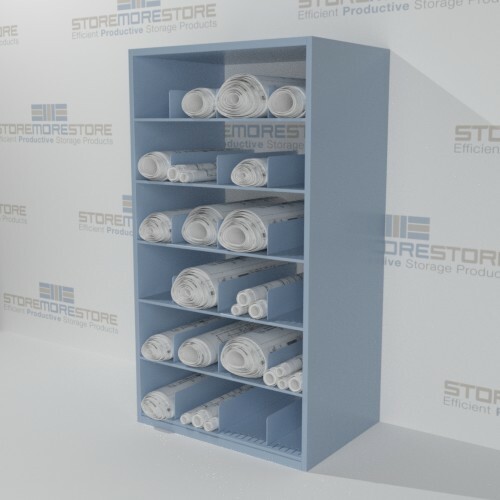 That’s why redrope pockets are a great solution for storing documents in your shelving. The expanding gusset lets you store all your legal file folders in one place. And if you add a Tabbies handle, you can use it as a color coded label that will not only make finding files easier, the handle will also protect your redrope pockets! 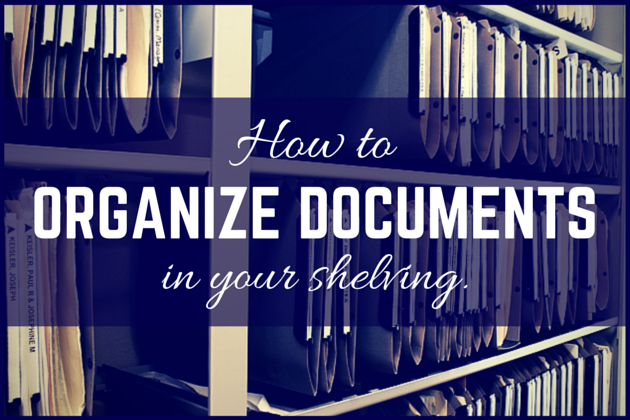 These are just a few of the ways to organize documents in your shelving. And you can find them all online at StoreMoreStore. If you need any help or have questions about storing your documents, please give us a call at 1-855-786-7667.